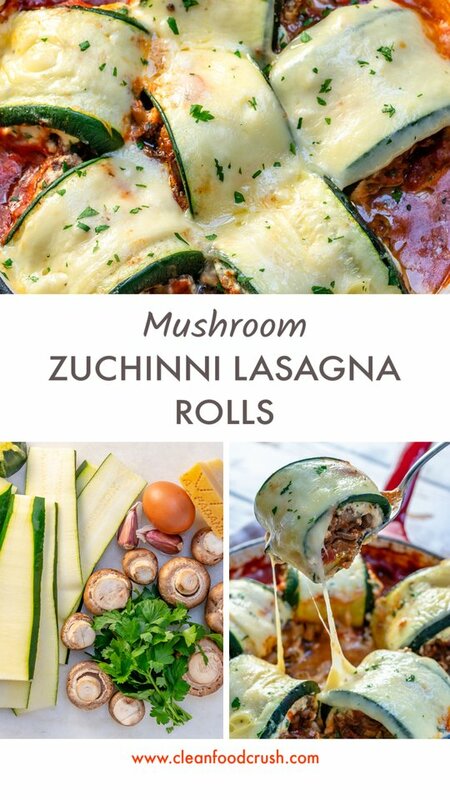 These Mushroom Zucchini Lasagna Rolls are AMAZING and Clean Eating Approved! 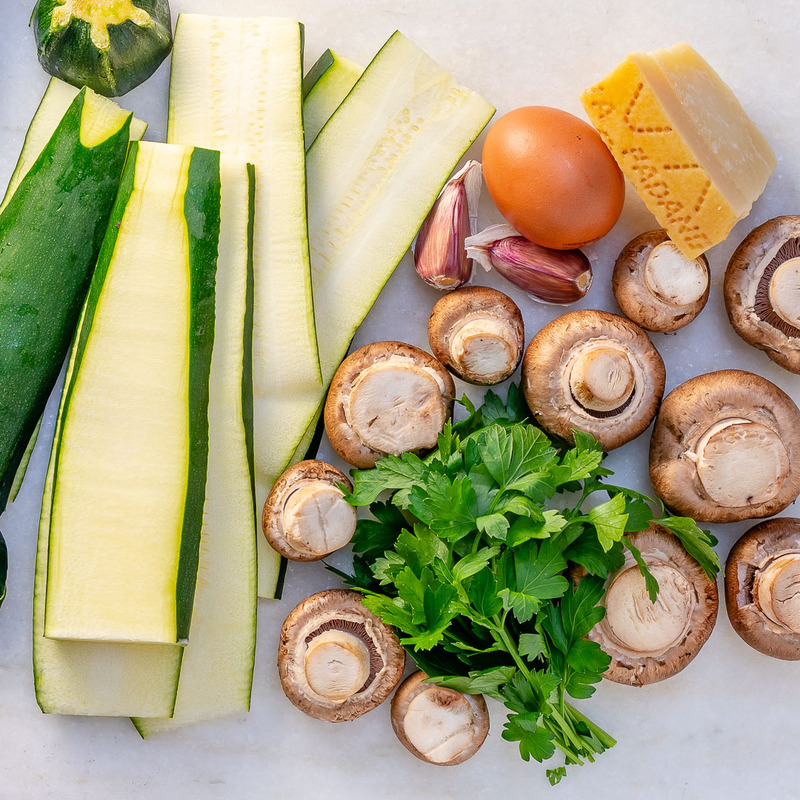 Zucchini has quite an impressive nutritional scoreboard – from high levels of potassium, B-vitamins, dietary fiber, and antioxidants, all which offer huge benefits to our overall health. 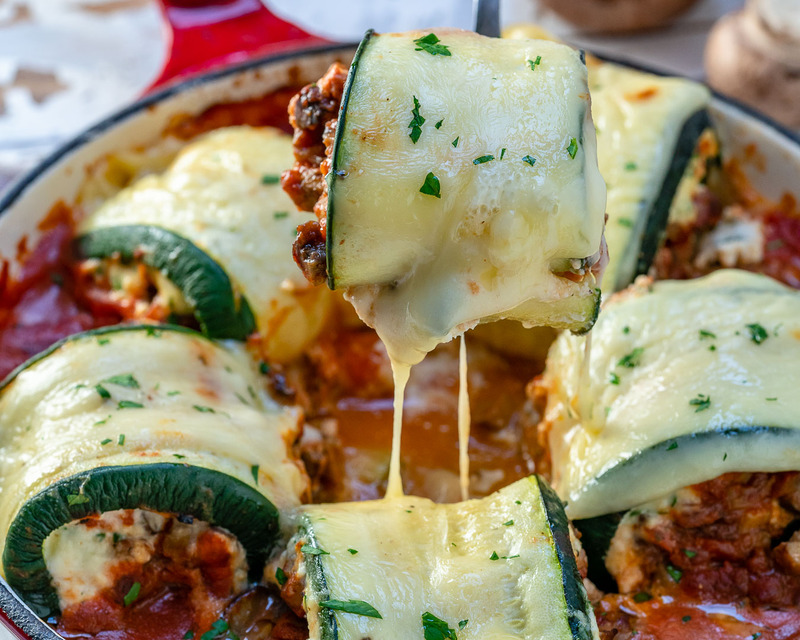 It’s shown that eating zucchini regularly in place of processed carbohydrates (such as pasta) can even help regulate our blood sugar levels, which can greatly benefit diabetics. 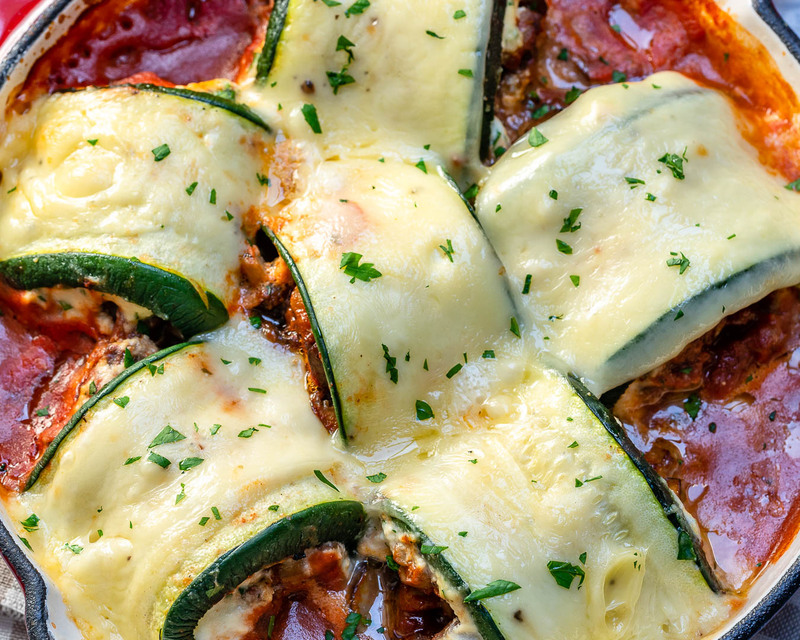 Eating zucchini several times per week can help us with our weight loss goals. 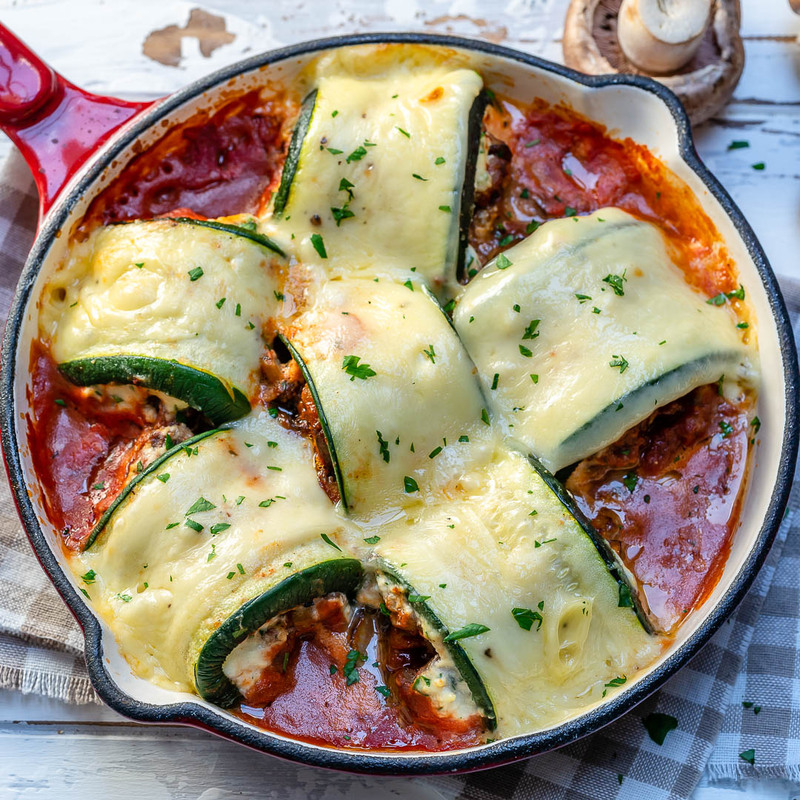 Zucchini is extremely low in calories but gives us the feeling of being full. Therefore, it is a great way to satisfy our appetites without grabbing lots of empty calories or carbs. Preheat your oven to 375 degrees f. and line a baking tray with parchment paper. Lay out the zucchini strips on a large cutting board, lightly sprinkle with sea salt and pepper and very lightly brush with 1 Tablespoon of oil. Bake strips in your preheated oven for 10-12 minutes, or until slightly tender and easy to roll. Allow them to cool until ready to handle. Meanwhile, add remaining olive oil in a skillet over medium-high heat. Add minced garlic and cook for 1 minute, until fragrant. Add in the onions, mushrooms, Italian seasonings and cook for 4-5 minutes. Stir in 3/4 of the marinara sauce and simmer your mushroom sauce for about 4 minutes, or until slightly reduced. In a medium bowl add ricotta, parmesan cheese, the egg and a tiny pinch of sea salt + pepper, and fresh chopped parsley. Stir well to combine everything. 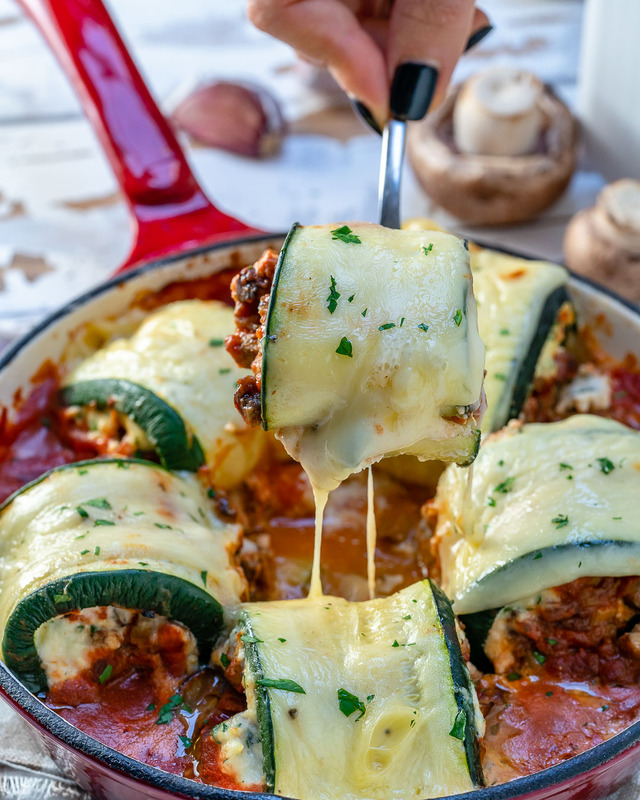 Use a 9×13″ casserole dish or an ovenproof cast iron skillet and spread remaining marinara sauce on the bottom. 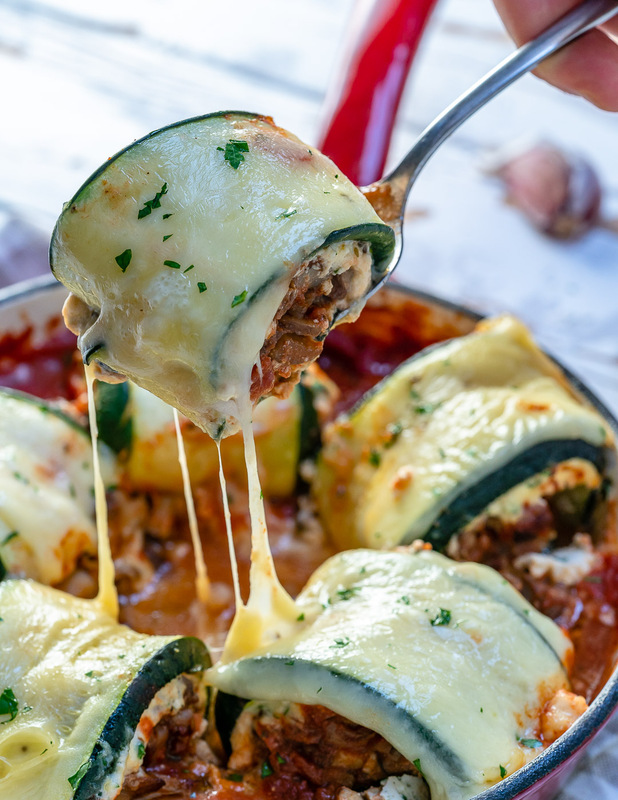 To assemble the zucchini rolls, lay out one zucchini slice on a cutting board. Spread about 2 spoonfuls of the ricotta mixture over the top, then a spoonful of mushroom sauce mix. 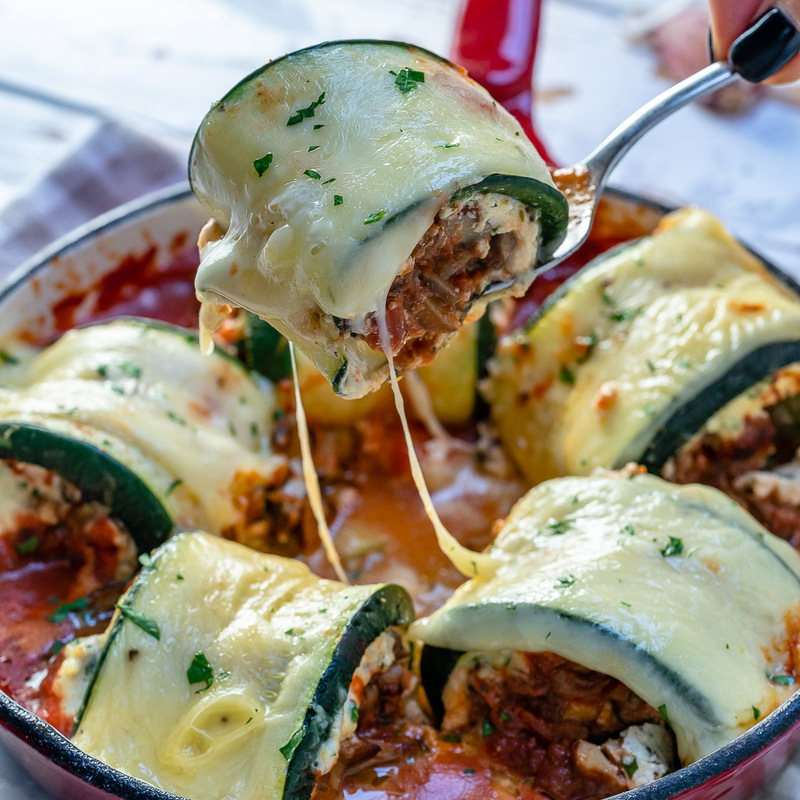 Carefully roll up each zucchini after filling, and place in the prepared baking dish. Repeat with the remaining slices. Pour any remaining mushroom marinara sauce over top. 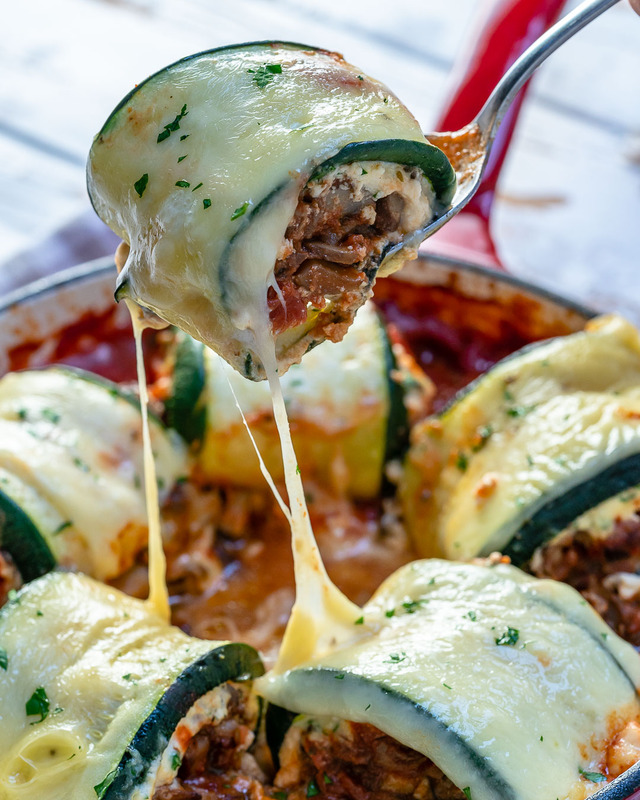 Sprinkle with shredded mozzarella and bake for about 15-20 minutes in your preheated oven, or until hot and bubbly. Serve immediately alongside a nice fresh salad. Who says Clean Eating is boring!? These are a true crowd pleaser 🙂 Zucchini is SUCH an amazing replacement for carbohydrate-based noodles when you’re Eating Clean. Remember to tag me @CleanFoodCrush in your creations so I can see how your lasagna turned out! Use a 9x13" casserole dish or an ovenproof cast iron skillet and spread remaining marinara sauce on the bottom.